Of course it is hoped that no members are injured at work. However the reality is that occasionally members do get injured at work. OHSA standards recommend these steps. Before leaving your Doctor's Office or ER get a work statement recommending. 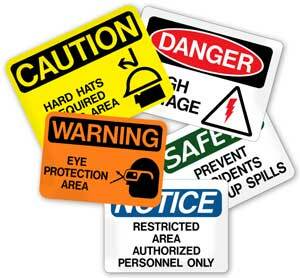 You should report all incidents/accidents even if there was no injury so as the employer can be aware of a possible injury or that you may have an injury that you don't know about at the time. It does not matter how small the injury is (eg stubbing your big toe or sticking your finger with a needle) you should report it. These types of incidents may lead to complications in the future.